I don’t think anyone would think of Breathe Carolina if they were asked to choose their favorite group in the current alternative scene based on love songs, but there is something superbly romantic about “Chasing Hearts.” It’s as close to releasing a power ballad the group have come in years, but its hook still packs an energetic punch to lift even the most melancholy souls from the gutter. You can stream the song via lyric video below. 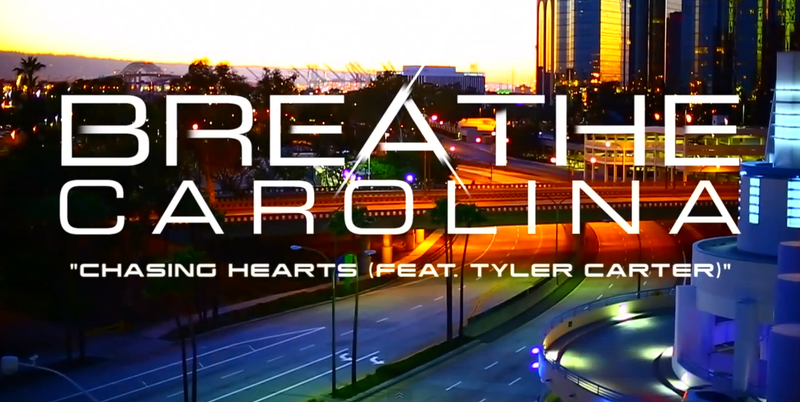 Tyler Carter seems to have abandoned all plans for his solo project, but his appearance on “Chasing Hearts” makes me long for that release more than ever before. It’s his best vocal work since “Side to Side,” and I personally believe the dance pop genre suits him far better than the rap-rock world Issues are attempting to resurrect right now. Savages, the new album from Breathe Carolina, hits stores April 15.